Top management, which includes C-suite leaders, partners, directors, and their advisors, have the greatest ability to either promote or block foresight activities in the firm. Here are a few foresight career questions to consider asking before joining this department: Does management contain any visionary, invested leaders who strive to see around corners, to discover or create the next big thing, and to drive the firm toward an organizational vision? How many of their leaders are instead reactionary and short-term? Is strategy a big deal, where many options and possibilities are generated and explored prior to decisionmaking, or is it usually a seat-of-the-pants rush job? Has leadership heard of and employed strategic foresight? Are they learning- and evidence-centric, or are they political and turf-centric? Are they aware of the trends affecting their industry, and do they have a sense of which are most important, most inevitable, and most uncertain? Do they work with expert external advisors and other stakeholders to improve their strategy and decision making, or are they insular? Can they execute decisions rapidly when necessary, and deliberately when not, or do they have only one execution speed? Do they embrace a diversity of views and recognize ambiguity and uncertainty when they exist, or do they drive the firm reflexively into conformity and false certainty? 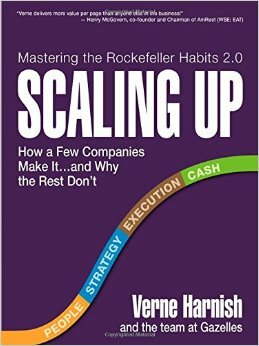 Verne Harnish’s Scaling Up (2014) is a great practical workbook that helps founders scale a company as demand grows, rather than stall out in size due to mounting complexity, which is the much more common result. It is also a starter guide to maintaining strategic agility, the ability of an organization’s leadership to move quickly, with a minimum of politics, when the evidence presents itself, and hold off on commitments when they aren’t needed, or when the evidence is unclear. Without operational agility in top leadership, foresight may be of little value, as the firm often can’t benefit from it. Doz and Kosonen’s Fast Strategy (2008) and John Kotter’s Accelerate (2014) are also good primers on keeping strategic agility as the enterprise grows. Bob Johansen’s Leaders Make the Future (2012) offers tips on assessing foresight competency in senior management. Without future-oriented leaders, foresight in the other organizational functions can only happen at the margins, in stealth, or under a local champion in the firm. Fortunately, the more complex, rapidly-changing, or competitive an industry becomes, the greater the chance to propose foresight work to senior management, from inside or outside the firm. There are also many powerful new tools that improve management’s leadership and strategic foresight abilities. For example, enterprise relationship management software, an outgrowth of CRM, is new way to bring visualization and options foresight (strategic alternatives) to understanding the firm’s relationships and alliances. Most obviously, top management has responsibility for Management & Leadership, as well as the Strategy half of the specialty of Strategy & Planning, where the organization’s priorities and plans are determined; Visioning, or development of motivating strategic visions around achieving goals and Framing, or defining the scope of foresight tasks, are also important tasks of Strategy. Less obviously, top management is also responsible for Auditing & Change Management, the discovery of problems and the generation of changes and at times, turnarounds in organizational goals, processes and performance. For a great primer on Change Management, read Kotter’s Leading Change (2012). Gerstner’s Who Says Elephants Can’t Dance (2003), on IBM, and Bratton’s The Turnaround (1998), on the NYPD, also offer inspiring case examples of successful management turnarounds in very large organizations. The C-suite is also directly responsible for Entrepreneurship & Intrapreneurship, the growing and rewarding of new business ventures, many of which may compete against their own current businesses. Intrapreneurship recognizes the continual need for any organization to disrupt itself with new products, services, and business models, to incentivize internal entrepreneurs, and quell the inevitable infighting that occurs when new startups compete against established businesses. Clay Christensen’s The Innovators Dilemma (1997/2016) is the classic on the difficulty of this process. Entrepreneurship & Intrapreneurship are perhaps the most difficult of all these functions for top management in large organizations, particularly when the new ventures compete with and undercuts a firm’s existing incentives, products and services, and thus also require change management. 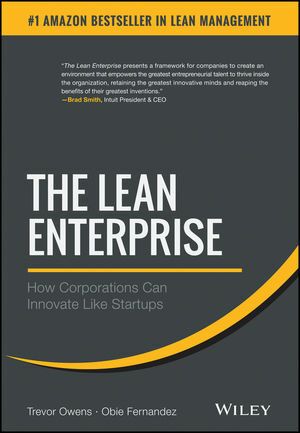 Owens and Fernandez’s, The Lean Enterprise (2014), outlines ways large firms can stay entrepreneurial even as their primary products and services enter maturity. Leaders in such situations must commit outsized incentives, capital, freedom, and usually separate facilities to their internal entrepreneurs, and typically give them limited time and resources, place multiple competing bets, and reward winners only when a clear leader emerges, which may take years to occur. Without such commitments, most intrapreneurship and startup incubation initiatives will devolve into safe, incremental, low-yield internal innovation, underperforming acquisitions and acqui-hires, and resource-wasting sideshows. No wonder it’s so difficult to be entrepreneurial in large firms. Top managers can come from all three of Kirton’s cognitive styles, an organizational psychology topic discussed in Chapter 2. Finally, top management has the primary responsibility for the exploration and stress-testing of their strategy via regular generation of Alternatives & Scenarios, and the continual use of Facilitation & Gaming. Other departments will use these specialties as well, but if the firm’s top strategy department doesn’t use these strategic foresight specialties, their outcomes will be much poorer as a result.